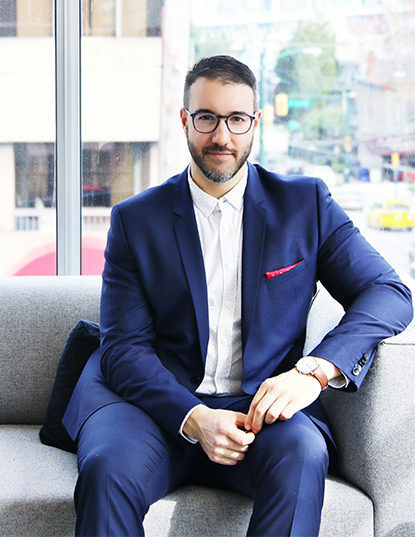 Dr. Vincent Richer is a medical and cosmetic Dermatologist and holds positions as Clinical Instructor and Director of Continuing Medical Education at the Department of Dermatology and Skin Science at the University of British Columbia. He is motivated by getting optimal outcomes for his medical and cosmetic patients through customized care. This includes using the power of light to treat and enhance skin health, such as ultraviolet phototherapy to treat psoriasis or eczema, lasers and injectables to selectively improve skin appearance as well as photodynamic therapy to treat precancerous lesions. Dr. Richer completed both his Medical Doctorate degree and Dermatology residency training at the Université de Montréal. He then completed a fellowship in Photobiology and Cutaneous Laser Surgery at the University of British Columbia. He has given scientific presentations at national and international conferences, published scientific articles and edited a textbook chapter in this field. He is also committed to teaching medical students and residents, as well as participating in continuing medical education for family physicians and dermatologists. Outside the clinic, his interests include cooking, crossfit, and skiing. He is fluent in French and English.